About a year ago, I became interested in the relatively new technology of 3D printing. Over the next few months, I did a lot of research and decided to give it a try. What was once a mere interest has developed into a tool for education, Kiruv, and a small part-time business. The purpose of this article is to share some of the information I have amassed so that you can have the opportunity to affect people in ways that would otherwise be extremely expensive or impractical. 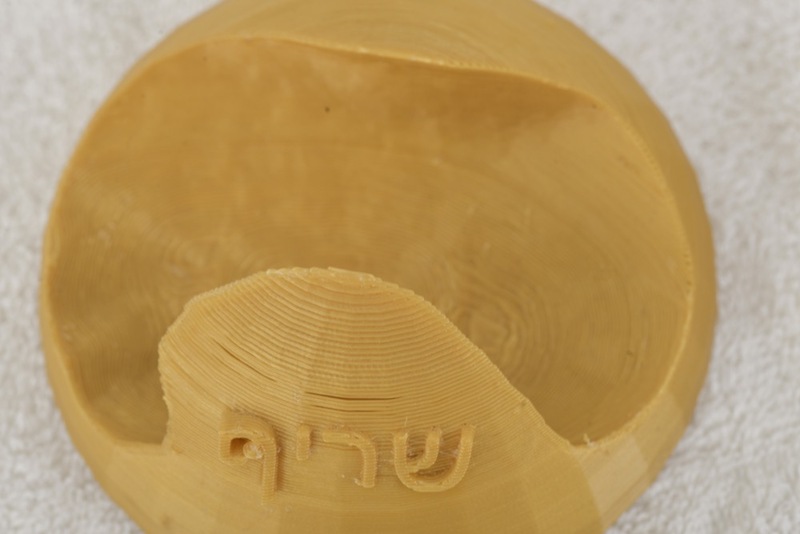 3D printing is a tool that can be used in Kiruv in many ways. 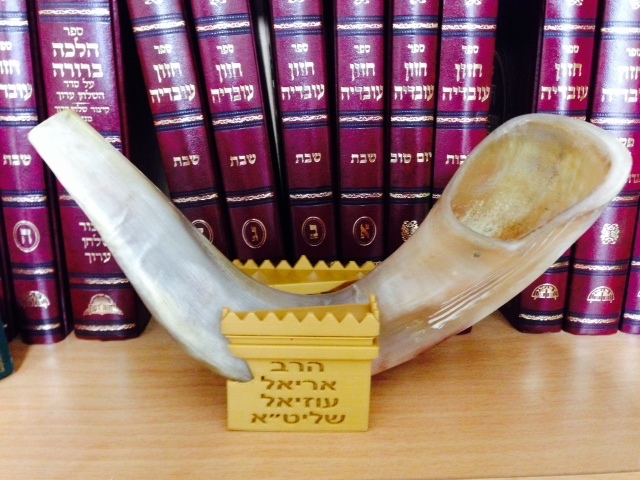 For example, I was asked recently by Rabbi Israel Lashak, the Regional Director of NCSY Southwest, to make something for an NCSYer that has just recently started observing mitzvot. 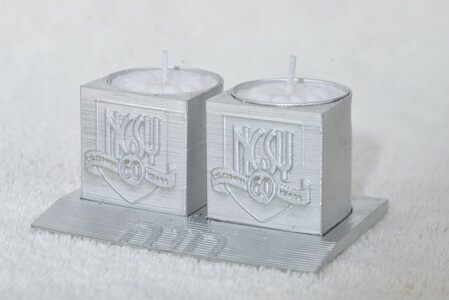 I made her some NCSY candlestick holders with her name on the base. 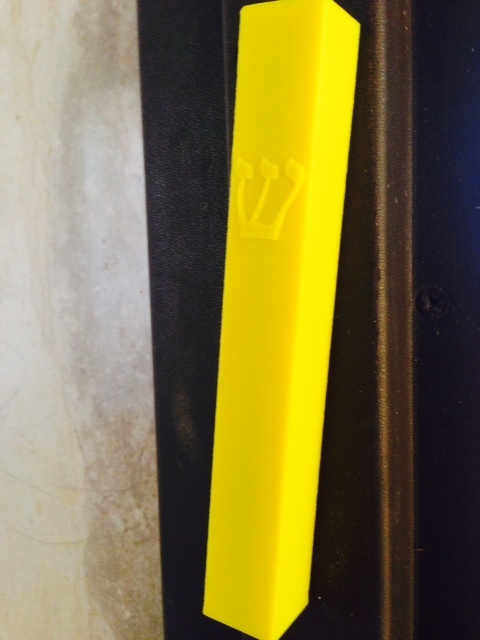 Another example is a Mezuzah case for an NCSYer that has gone off to college. 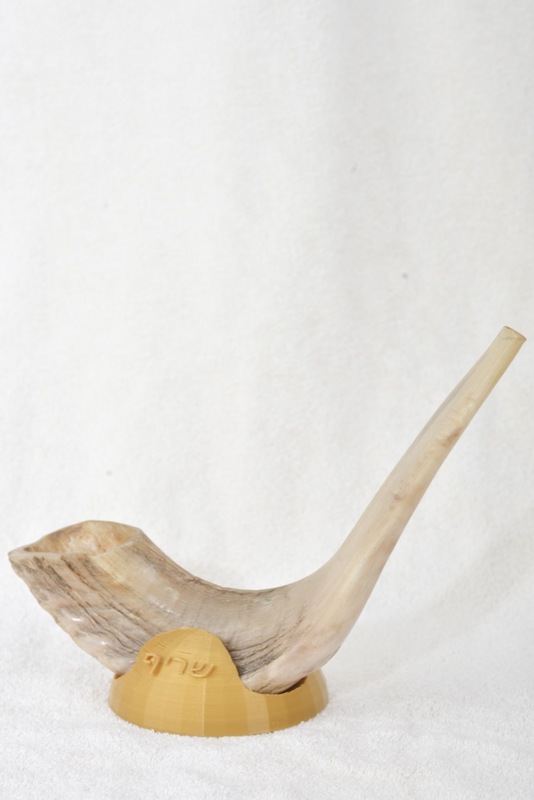 With our materialistic lifestyle, the ability to personalize these objects gives the person receiving them a closer connection to Yiddishkeit than something that can be purchased at any Judaica store. 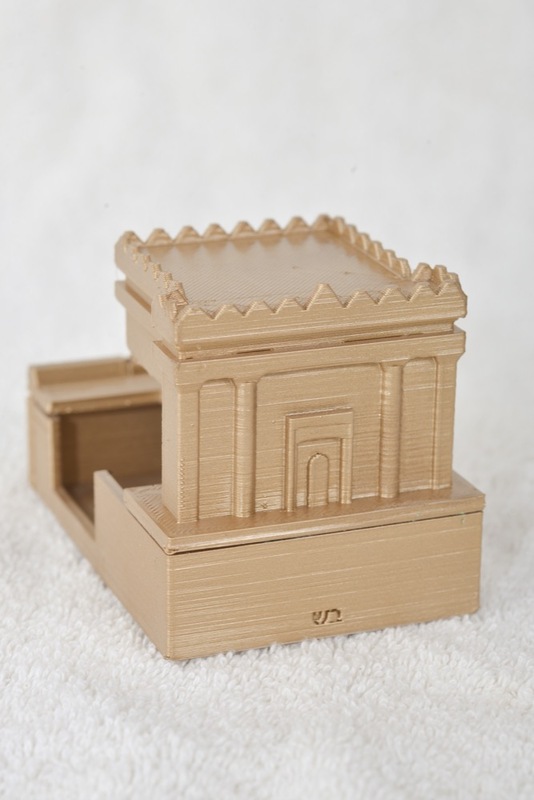 It can be used for advertising, events, gifts, and tzedaka boxes. 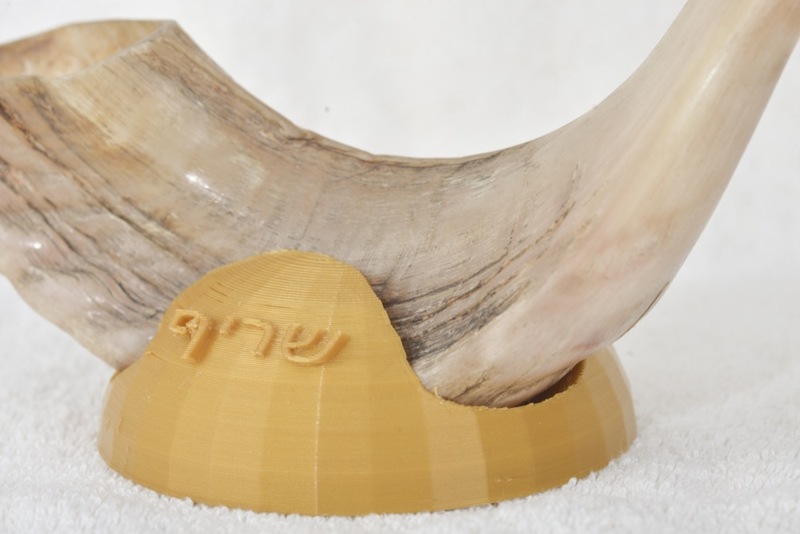 I currently have made several different designs of tefillin cases, chanukah menorahs with spinning dreidel stems, and custom shofar holders. 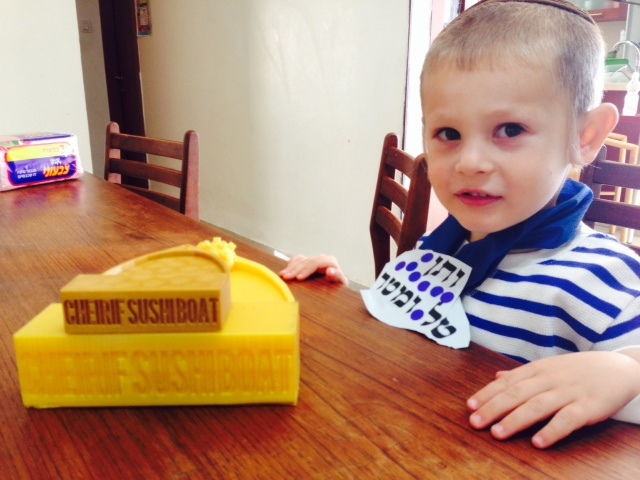 A popular item in my house is a sushi boat which holds our sushi that our guests eat from on Shabbat. 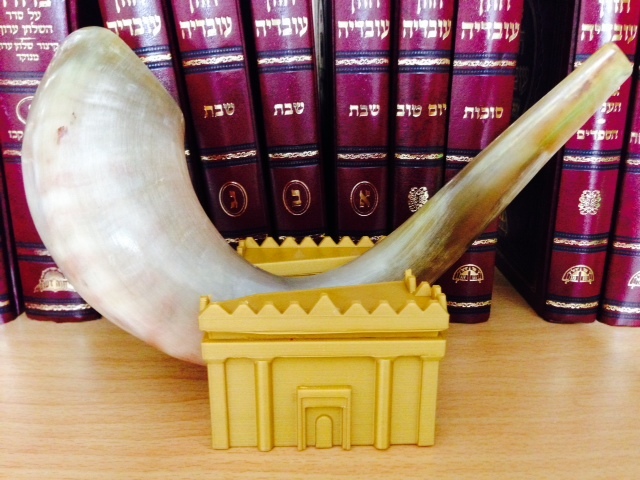 I am now working on a project to make a model of the mishkan and the 2nd Beit Hamikdash for my kids and their school. 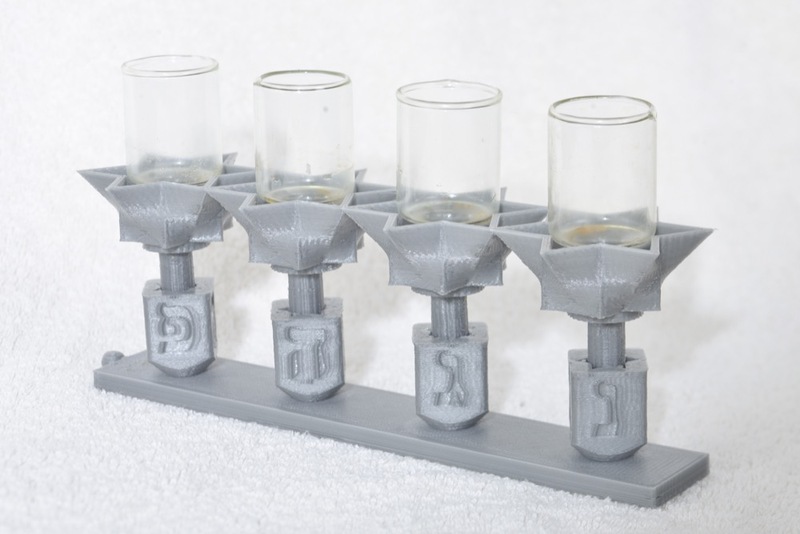 So how do you get started doing 3D printing? There are several routes you can go but this is what I recommend. First off, you have to get familiar with the technology. To better understand what 3D printing is, here is a pdf that gives a basic overview of the history and applications of 3d printing. For our purposes you need to know a few key terms. One word you have to know is STL. This is one of the file types most commonly used for 3D printed designs. Another is CAD. This is the software you use to make the file. There are many great free CAD programs you can download to make a file but as a beginner, the best program to focus on is Tinkercad which I have found to be the most useful entry-level program. They have an incredible interactive teaching guide that can help you develop your design skills. 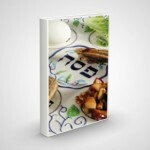 There are websites that have thousands of pre-made designs that you can send out to print or customize yourself. The most popular is Thingiverse. You can take a pre-made design and customize it in Tinkercad. 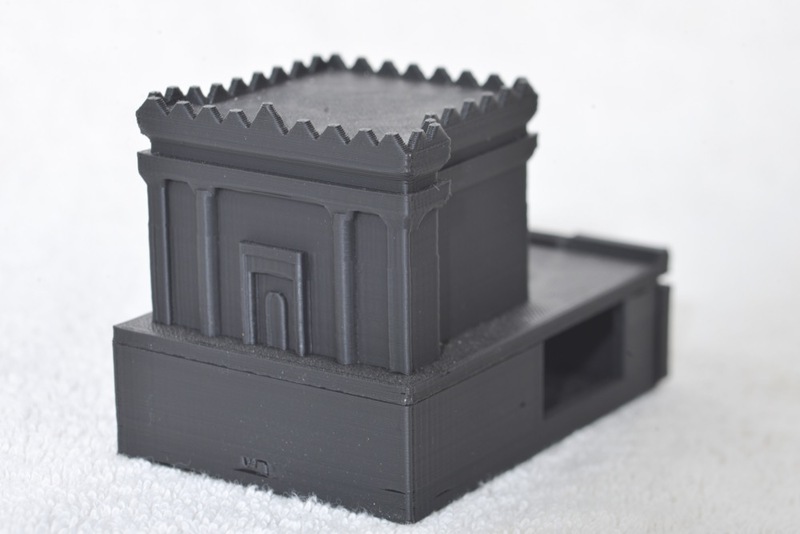 Now that you have found or created something you want to make, you have several options for actually printing your object. 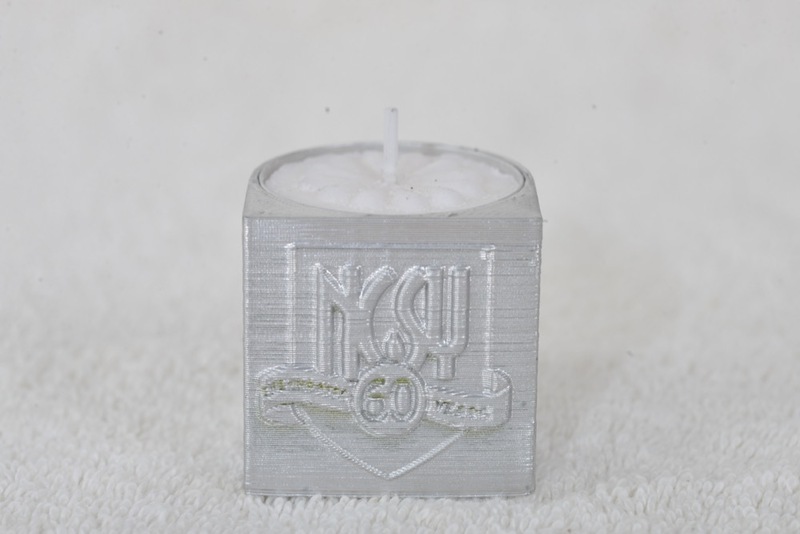 There are professional services likeShapeways or Sculpteo that produce immaculate prints. If you select “Design>order a 3D print” in Tinkercad, they will upload your file automatically to these services. A cheaper route would be a site called 3Dhubs. This is a service that shows you a variety of people in your area that will 3D print your objects for you. 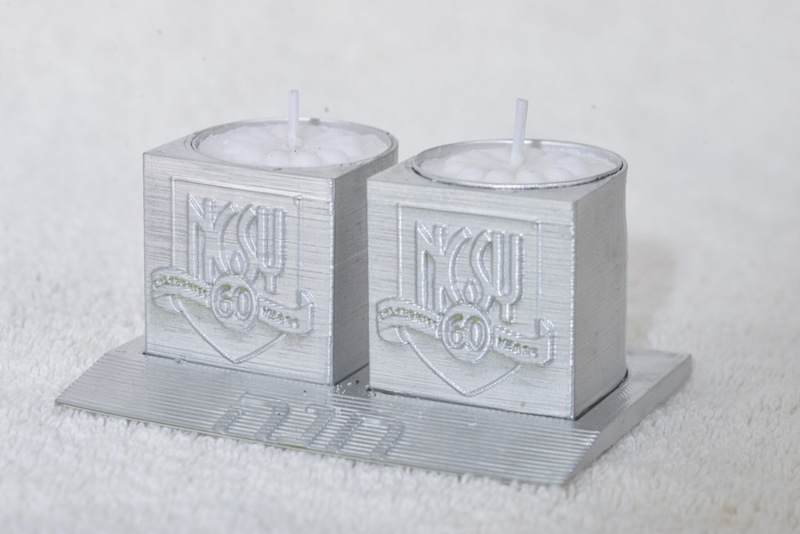 The benefit of this is that they are cheaper than the professional services and you can meet a local that could potentially design your customized Judaica for you. 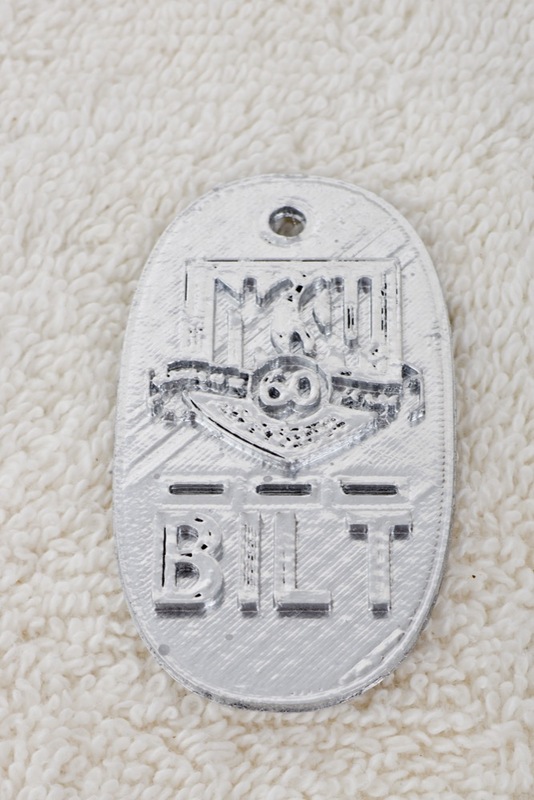 The drawback with this option is that the quality of your print is dependent on their skill level and printer quality. 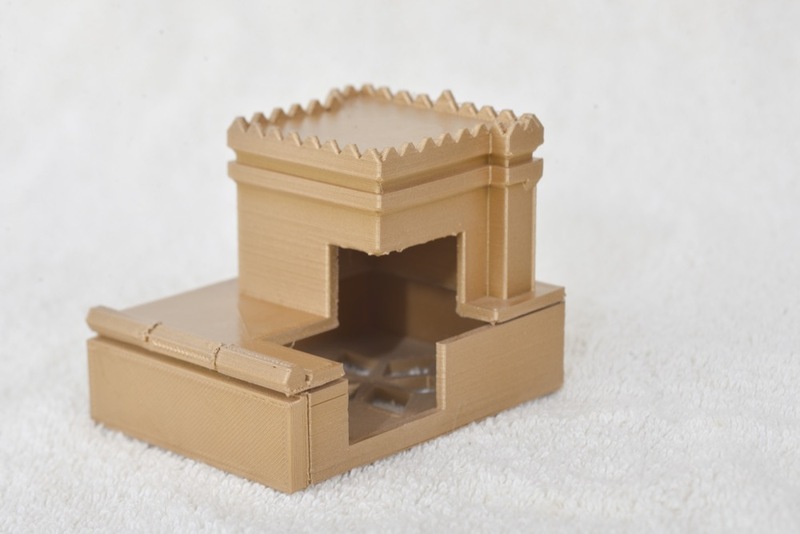 The 3rd and most economical (in the long run) is to buy yourself a 3D printer and make these objects yourself. Although it is getting easier to do and there are hundreds of great resources for learning how to do it, it is still very technical and time consuming. If you are feeling adventurous and want to go down that route, I recommend the Printrbot simple metal for $599. 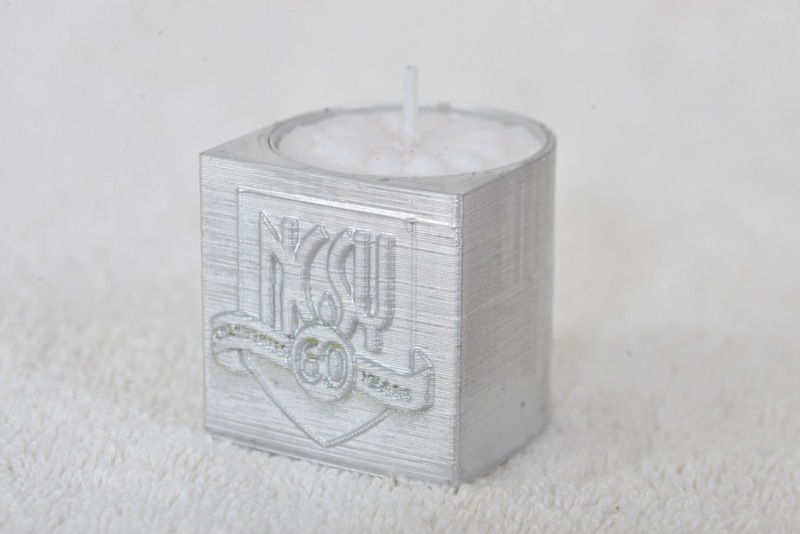 In conclusion, 3D printing can be another tool in your arsenal that you can use to boost your ROI, attract new neshamas, and give gifts to donors and students. The possibilities are limited only by your imagination. If you need any help you can contact me at bcheirif@gmail.com or 050-410-1573 in Israel and 469-297-2873 in the US.